WASHINGTON — The average rate on the 30-year fixed mortgage fell to 4 percent this week, nearly matching the all-time low hit just one month ago. Freddie Mac said Thursday that the rate on the 30-year loan dropped from 4.10 percent last week. Four weeks ago, it dropped to 3.94 percent — the lowest rate ever, according to the National Bureau of Economic Research. The average rate on the 15-year fixed mortgage fell to 3.31 percent from 3.38 percent. Four weeks ago, it too hit a record low of 3.26 percent. Mortgage rates tend to track the yield on the 10-year Treasury note. They yield fell this week after investors shifted money out of stocks and into the safety of Treasurys on fears that Europe’s debt crisis could worsen. The Federal Reserve is also shifting more money into longer-term Treasurys to try to force mortgage rates lower. Treasury yields fall when buying activity increases. 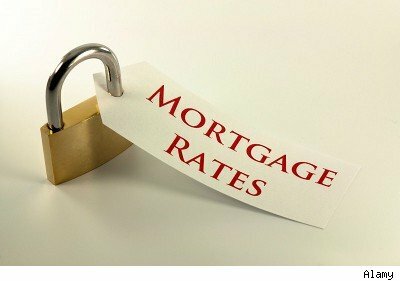 Federal Reserve Chairman Ben Bernanke said Wednesday that low rates have failed to spur the increase in home buying or mortgage refinancing that government officials had expected. High unemployment and declining wages have made it harder for many people to qualify for loans. Many Americans don’t want to sink money into a home that could lose value over the next three to four years. And most homeowners who can afford to refinance already have. The number of Americans who bought previously occupied homes fell in September and is on pace to match last year’s dismal figures — the worst in 13 years. Sales of new homes rose last month after four straight monthly declines. But the increase was largely because builders cut their prices. And it followed a peak buying season that was the worst on records going back nearly 50 years. The low rates have caused a modest boom in refinancing, but that benefit might be wearing off. Most people who can afford to refinance have already locked in rates below 5 percent. Rates have been below 5 percent for all but two weeks in the past year. Just five years ago they were closer to 6.5 percent. Ten years ago, they were above 8 percent. The average rate on the five-year adjustable loan fell to 2.96 percent from 3.08 percent. That matches a record low hit four weeks ago. The average rate on the one-year adjustable loan declined to 2.88 percent from 2.90 percent. It fell last month to 2.81 percent, the lowest on records dating to 1984. The average fee for the 30-year fixed mortgage fell from 0.8 to 0.7. The average fee on the 15-year fixed loan was unchanged at 0.7. The average fees on the five-year adjustable loan one-year adjustable loan were also unchanged at 0.6. Copyright 2011 The Associated Press. The information contained in the AP news report may not be published, broadcast, rewritten or otherwise distributed without the prior written authority of The Associated Press. Active hyperlinks have been inserted by AOL.